Happy Tuesday, my friends! We are back with another installment of Tuesday Tidbits, where I try to track down events that I think would be of interest to you, my fellow Geeks here in Indiana! Plus, hey, it’s a new profile picture on Twitter (more information on that below)! There’s been a lot of things happening this last week! The Super Bowl showed us some trailers for movies and shows we’ve already seen footage from (Avengers Endgame, Captain Marvel), and got us psyched for things we’ve heard of, but haven’t seen anything from yet (Hobbs & Shaw, Scary Stories to Tell in the Dark, The Twilight Zone). You can find all of those on YouTube, if you haven’t seen them yet. PopCon Indy has been making guest announcements for their upcoming show in June, including John Wesley Shipp (The Flash), Natalia Cordova-Buckley (Agents of S.H.I.E.L.D., Coco), and Henry Simmons (Agents of S.H.I.E.L.D.)! Meanwhile, I’m up here in the Geek Cave office, frantically editing Friday’s release of Social Sci-Fi, and trying to get all the last-minute pieces from Lizz. I’m just hoping my Southwest flight has WiFi, in case there are any problems! 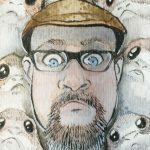 Today’s Picture: At the beginning of every month, I swap out my profile picture on Twitter with a new one from a Hoosier-based artist! This month, the art is by Kahahuna over on Twitter! Jess takes commissions on her Ko-Fi page, has her art on her website, and even sells soap using the Twitter account Bath Omens! On top of all of this, she’s just an amazingly awesome person, so I really recommend checking her work out! 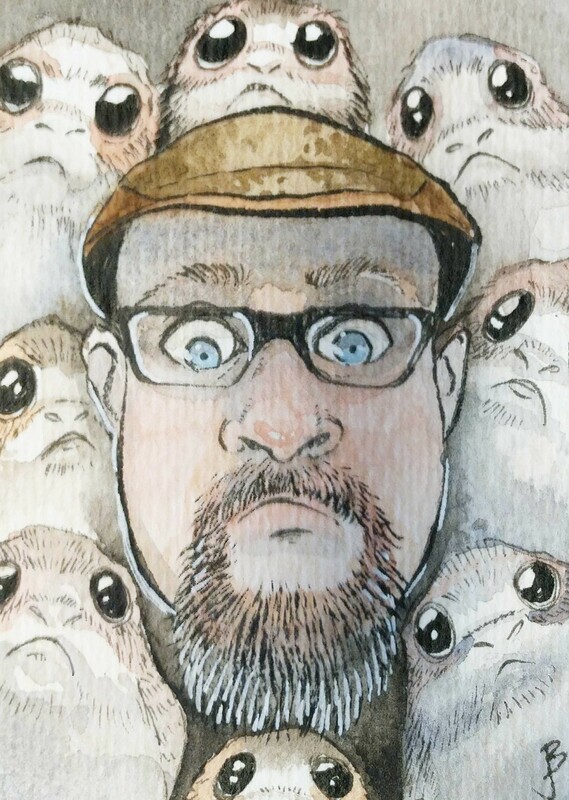 This picture, with the Porgs, is the result of her asking me if I trusted her when I paid for my commission. Star Trek Discourse: With CBS All Access releasing season two of Star Trek Discovery, it’s time for a bunch of Geeks to get on camera and talk about it, because that’s what we do. Join the Facebook Group linked above, to see all of last season, and see the new episodes when they’re released! I will not be on every stream this season, but keep an eye open, and you might catch me on a few!